And on occasion…regulate the old. 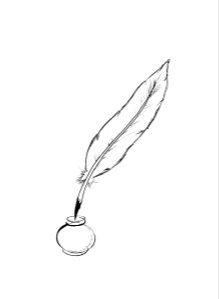 We have recently been reminded just how powerful the pen remains in stirring the hearts and minds of men and women around the world. And, we have often discussed on ETY how stories can change ideals, culture and even societal norms. With this knowledge in mind, we wanted to share the following opportunity offered by one of our Telluride Experience sponsors, The Doctors Company Foundation, in Partnership With The Lucian Leape Institute at The National Safety Patient Safety Foundation. This patient safety centered organization and partner is once again hosting a Young Physicians Patient Safety Award and essay contest for young physicians in training interested in sharing their story related to a personal experience with patient safety through the 4th year of medical school. The deadline to enter an essay is 5pm ET, February 2nd, and additional information on entering can be found below, as well as at the Doctors Company Foundation website. Our Telluride Alum have been blogging and reflecting with great depth on wisdom gained in only the early years of their healthcare careers regarding just how complex an issue all things patient safety related can be. The hope is that at least a few will share their stories, along with their writing talents and passion for patient safety via this venue! Excerpts of essays from 2014 winners can be found in the ETY post, Sharing the Doctors Company Foundation 2014 Award Winning Essays. These winning essays have already served as safety moments in a large health system, as well as inspired peers to think and act differently when it comes to keeping patients safe. …their personal insight into the importance of applying the principles of patient safety to reduce the incidence of medical error. Individuals are invited to submit essays about patient safety events they personally experienced during clinical rotations. The essays will be judged by a panel selected by the Lucian Leape Institute of the National Patient Safety Foundation (NPSF). Six winners will be selected and each will receive a $5,000 award, which will be presented at the Association of American Medical College’s (AAMC) Integrating Quality meeting in Chicago, June 2015. In 500-1,000 words describe the most instructional patient safety event you experienced, one that resulted in a personal transformation. The essay should have an emotional impact on the reader and provide a lesson that is transferable to other medical students and medical professionals. Explain how the event impacted your learning and growth and how the experience will help you to provide the safest care to your current and future patients. You must include examples of how to improve any system errors or processes that contributed to the adverse patient event and explain how you will ensure that the changes are implemented. Description of relevant events for the essay includes any patient safety event, including “near misses”. A patient safety event is a process or an act of omission or commission that results in hazardous health care conditions and/or unintended harm to the patient. The event is often a consequence of a systems failure or error. Examples include medication related errors, communications errors, health care – associated infections, medical record errors, identification errors and delays in responding to critical diagnostics. Essays must maintain the confidentiality and integrity of the patient and location of the event. Please use fictitious names and locations in the essay. For final program, click here. All submissions can be viewed here. June has always been a very exciting month for me. For the last eight years, Tim McDonald and I have journeyed west to Telluride, CO, a beautiful mountain town known by many for its skiing than summer activities. 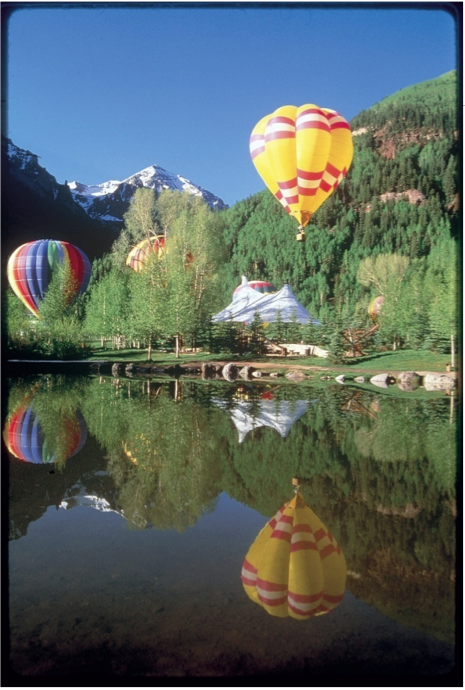 For those outside CO, Telluride may be one of the best kept secrets around. We often choose to take the scenic six hour journey from the Denver airport to Telluride each June, making our way up the mountain to run our annual Telluride Patient Safety Roundtable and Summer Camps, and to be reminded of the power of the peaceful surroundings we will be teaching in for the next 2-3 weeks. 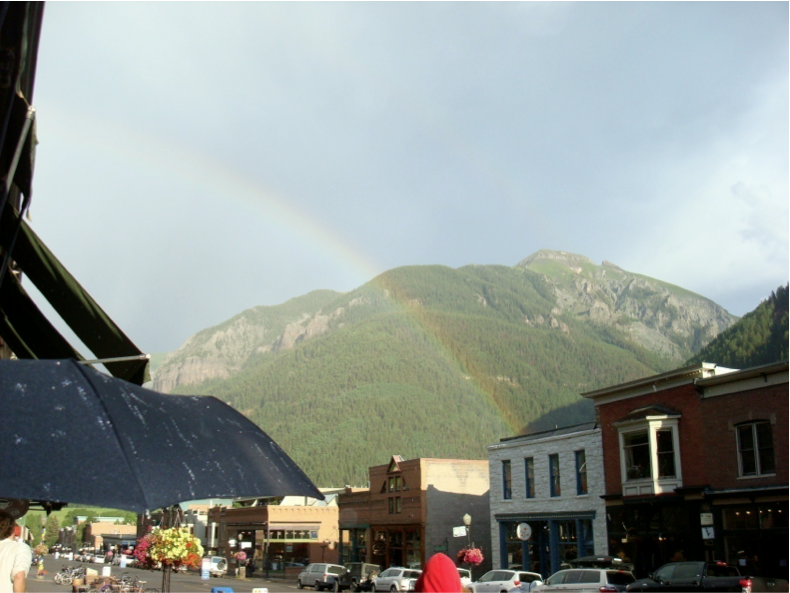 Over the years, people have asked me “Why Telluride?” My response has always been the same – “Why not?” Be it the “old west feel” of the town, or the magic that happens at an elevation of 9,600 feet, Telluride has always been a learning mecca for us. Nana Naisbitt, Executive Director of Telluride Scientific Research Center (TSRC) and her son Rory, have been wonderful to work with through the years. TSRC hosts about 24 scientific programs each summer. The smaller, roundtable format we use is designed to foster creative thought and consensus building through lively conversation in a relaxed and informal setting. This format attracts patient safety leaders from around the world to Telluride each summer to “break bread” and share ideas on current issues and challenges. Because of this unique venue, a lot of discovery and sharing of ideas happen on the walking paths, hiking on the mountain trails, in a coffee shop, or over a glass of wine. 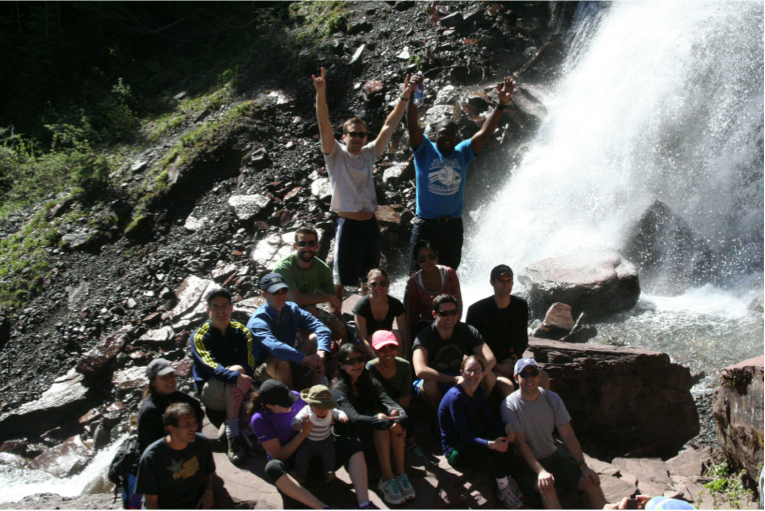 Through the generous support of The Doctors Company Foundation (TDCF), COPIC, Committee of Interns and Residents (CIR), Mag Mutual and MedStar Health, over 100 health science students and resident physician leaders will be attending one of three, week-long Telluride Patient Safety Summer Camps this summer. The first two weeks will be in Telluride and a third week in Washington DC later this summer. Numerous health science students and resident physician leaders from across the country applied for one of the summer camp opportunities. To identify and help develop future healthcare leaders and champions in patient safety, transparency and open, honest and professional communication between patients, families and caregivers. To develop a growing number of Patient Safety Summer Camp alumni that serve as role models and mentors to (a) health science students and resident physicians at their respective medical centers and health systems, and (b) health science students and resident physicians enrolled in future Patient Safety Summer Camps. To create a social networking community where Patient Safety Summer Camp health science students, resident physicians and past alumni can interact with international leaders in patient safety, education and patient advocacy on issues pertaining to patient safety, transparency and open, honest and professional communication between patients, families and caregivers. To help create risk reduction and quality improvement collaborative projects between Patient Safety Summer Camp alumni, faculty and patient advocates that are implemented within the Patient Safety Summer Camp alum’s institution and beyond. Next Monday, many wonderful and highly committed patient safety advocates and leaders will once again convene in Telluride to continue our mission of “Educating the Young”. The first week, we will have twenty-nine resident physicians, future physician leaders from across the country, immersed in learning about transparency, patient safety, and patient partnership. It truly is an amazing experience that always leaves me energized for months to follow. Sarvishwari is a senior at George Washington University majoring in biology. She plans on a career in family medicine and caring for older adults while remaining a lifelong student of quality improvement and patient safety. She is the first in a series of guest student and resident writers who are trying to learn more about the future of healthcare and reform. Being a patient safety and medical education site, ETY is delighted to share student and resident research and reflections with you, as they represent the next generation of caregivers. Additionally, the issues discussed and educational materials shared by students on ETY are aspects of healthcare infrequently included in today’s medical curricula. Sharing them with other students and residents will help future caregivers better understand the issues and challenges facing healthcare in the years ahead. Starting today, Medicare is launching it most comprehensive quality initiative. Authorized by the health care reform law, the Value-Based Purchasing Initiative is rewarding better performers on certain measures, and penalizing those that perform poorly. Hospitals will lose 1 percent of their Medicare base payment, but can earn it back if they provide better care. –How often did nurses listen carefully to you? –How often did nurses explain things in a way you could understand? –After you pressed the call button, how often did you get help as soon as you wanted it? –How often did doctors treat you with courtesy and respect? –How often did doctors listen carefully to you? –How often did doctors explain things in a way you could understand? –How often where your room and bathroom kept clean? –How often was the area around your room quiet at night? –Did you need help from nurses or other hospital staff in getting to the bathroom or in using a bedpan? –How often did you get help in getting to the bathroom or in using a bedpan as soon as you wanted? –Did you need medicine for pain? If so, how often was your pain well controlled? –How often did hospital staff do everything they could to help you with your pain? –During this hospital stay, were you given medicine that you had not taken before? –Before giving you any new medicine, how often did hospital staff tell you what the medicine was for? –Before giving you new medicine, how often did hospital staff describe possible side effects in a way you could understand? –After you left the hospital, did you go directly to your home, to someone else’s home, or another health facility? –Did doctors, nurses or other hospital staff talk about whether you would have the help you needed when you left the hospital? –Did you get information in writing about what symptoms or health problems to look out for after you left the hospital? –Using any number from 0 to 10, where 0 is the worst hospital possible and 10 is the best hospital possible, what number would you use to rate this hospital during your stay? –Would you recommend this hospital to your friends and family? Hospitals will see only minor changes in payment, according to Rachel Werner and R. Adams Dudley in Health Affairs, “…redistribution is not likely to cause major problems because the amount being redistributed is…small,” they say. In upcoming years the financial stakes will be higher — 2% will be at risk in 2017 — and outcome measures will be added, as discussed in the New England Journal of Medicine Perspective, Value-Based Purchasing — National Programs to Move from Volume to Value by Jordan M. VanLare, A.B., and Patrick H. Conway, M.D. in July of this year. Future iterations of hospital performance measures should include patients’ experience with safety. Also, the informed consent process needs to be improved so it serves the patients’ needs. Patients can be surveyed for how well doctors explained a treatment, options, and their benefits and risks. That would be a big step forward and offer real value from a patient-centered perspective.